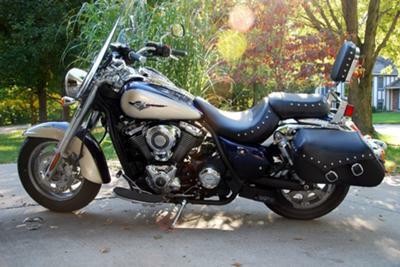 I just purchased this new bike, trading in my first bike which was a 2006 Yamaha V-Star 1100 Custom that I owned and rode for 2 summers. I'd read a review on another women's motorcycle website that sung the praises of the 1700 as a woman's bike. I found everything the article said to be true. Yes, its a little heavier than my VStar was, but lots more power, which will enable me to keep up with my guy's 1800 Goldwing on long road trips. I've only had it a week and the weather has turned bad here in Missouri, so I don't have a lot of experiences to share yet about my upgrade and whether or not it will have turned out to have been a good idea or bad.